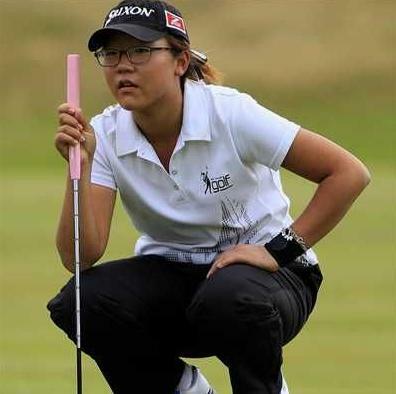 The demands of life as a virtual professional golfer finally caught up with the world’s No 1-ranked amateur Lydia Ko in Melbourne yesterday when the 14-year-old was forced to withdraw from the annual Riversdale Cup. Ko was leading fellow New Zealander Emily Perry and Australia’s Lauren Hibbert by two strokes after the first round but pulled out after experiencing dizzy and nausea shortly before she was due to tee off. A doctor assessed the North Harbour student and prescribed rest, casting doubt on her ability to play in next week’s World Ladies Championship tournament at Mission Hills in Haikou, China. Ko’s coach Guy Wilson said her illness was symptomatic of a schedule that has seen her play in six tournaments in little over a month. She completed the Australian Ladies Masters on the Gold Coast at the start of the month despite being plagued by a stomach bug. Wilson thought she might have picked up a virus during her latest trans-Tasman journey from the New Zealand Open in Christchurch, where she finished 17th last weekend. "She’s been on a lot of planes and there’s a big difference in temperature between Christchurch and Melbourne. She’s getting a bit tired and there were 36 holes (yesterday) so it’s not like she could grind it out,” he said. Wilson said they would decide on Saturday about the excursion to China. She will remain in Melbourne to recuperate and return home at the weekend with the other New Zealanders competing at the Riversdale Cup. With Ko pulling out New Zealand are no longer able to win the team’s event and her partner Perry is left to focus on the individual competition, which ends today. Ko has had a stellar year in Australia so far, winning the Australian amateur match play title before she became the youngest ever winner of a professional tournament when clinching the NSW Open last month. Meanwhile Emily Perry replaced Ko as the leader of the Riversdale Cup. Perry brushed aside the disappointment of Ko’s withdrawal by trimming six shots off her second round score to carry a two shot lead over Australians Whitney Hillier and Grace Lennon into today’s final round. Perry started today’s 36-hole schedule with a 75 but made significant improvements in the afternoon to record a 4-under 69. Chantelle Cassidy from Tokoroa also tallied 69 in the penultimate round to improve to outright fourth, three shots adrift of Perry.